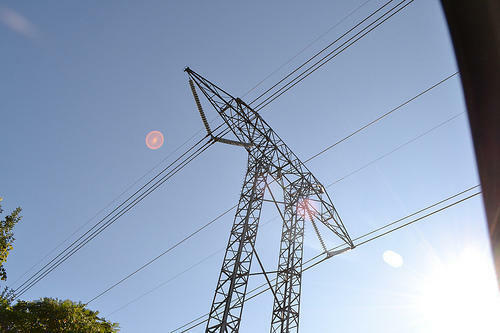 Eversource’s Northern Pass transmission line is the sole project picked for long-term energy contract negotiations with Massachusetts. Officials made the announcement Thursday afternoon, less than a week before New Hampshire begins its final permitting deliberations on the controversial project. 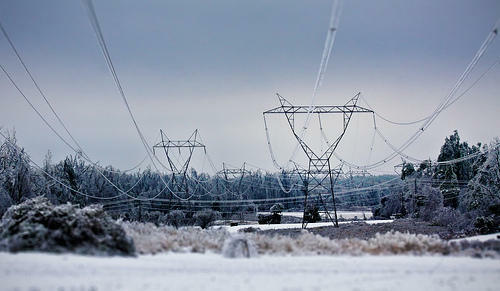 Northern Pass would carry 1,090 megawatts of power from Hydro Quebec dams to the New England grid, over a partly-buried 192-mile power line. It would run under New Hampshire’s White Mountains and mainly follow existing transmission lines, ending in Deerfield. Officials say the project works out to about 9.45 terrawatt-hours of energy, which is what Massachusetts decided to buy in a 2016 state law. Judith Judson, the Bay State's energy commissioner, told reporters Northern Pass was the clear, single choice. “It rose to the top in terms of net benefit to consumers, as well as its ability to quickly deliver clean energy to the Commonwealth,” she said. They’ll now enter contract negotiations on the $1.6 billion project, as Eversource awaits its final permit from the New Hampshire Site Evaluation Committee, or SEC. If the project falls through, officials say they’ll re-evaluate other bids. An SEC permit is the last thing Eversource needs to start construction. Even if it comes through as early as possible, in March, Eversource New Hampshire president Bill Quinlan says they’ll have to build quickly – working in five to 10 locations along their route at a time – to meet Massachusetts’ completion deadline of December 2020. Those kinds of appeals on either side could delay the project a year or more – and Northern Pass’s many critics have vowed to fight the project as long as possible. Among them is the Society for the Protection of New Hampshire forests, an intervenor in the project’s permit application at the Site Evaluation Committee. Northern Pass has faced similar, strident opposition for years from other environmental advocates and neighbors concerned about impacts to tourism and scenery in the North Country. "I don't know it will, but if it ever goes forward, New Hampshire is certainly getting the short end of the stick," says Savage. 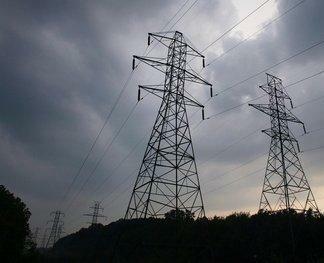 Some independent power generators and analysts are also critical of the project. They say a guaranteed, long-term contract with such a large energy source detracts from diversity on the New England grid. Quinlan disputes that. He says there’s so little hydropower on the grid right now, any addition represents diversification and stabilization. Judson says Northern Pass will account for 17 percent of Massachusetts’ energy load when it’s online. Massachusetts consumers will also pay for the project for the first 20 years. Eversource is also competing for the other part of Massachusetts’ renewable energy procurement efforts – a bidding process to supply 1,600 megawatts of offshore wind power. And, as one of the largest utilities in Massachusetts, they were also part of the selection process that chose Northern Pass. State officials say an independent evaluator ensured that process was fair and not skewed for any one company. But at least one competitor that lost out Thursday – National Grid’s Granite State Power Link, another transmission line proposal in New Hampshire – wants to know more. “We continue to join with our fellow projects to encourage the Evaluation Committee to provide full transparency into the evaluation process and decision, to ensure public trust in this historic decision,” said National Grid COO John Flynn in a statement. Massachusetts Attorney General Maura Healey's office announced Friday she planned to review the selection process, to ensure its fairness and transparency. The New Hampshire SEC begins deliberations on months of testimony and reams of evidence about Northern Pass next Tuesday in Concord. N.H. Projects In The Running for Major Clean Energy Contracts in Mass. Energy developers are set to learn Thursday which of their projects will get long-term contracts to provide 1,200 megawatts of renewable energy to Massachusetts. Several projects in New Hampshire are in the running. Developers sent in more than 40 proposals to bring hydro, solar and wind power to Massachusetts, primarily from Northern New England and Canada.